If you didn't already know this, the Manhattan Beach 10k is entirely orchestrated by a wonderful group of volunteers! Some of them have full time jobs, families and other responsibilities but they make it a point year after year to serve our community with their time, talents and treasures. While we'd love to give a shout out to all of them, we will highlight a small sampling of the wonderful humans that work tirelessly to make your #mb10k experience such an enjoyable one (save for the challenge of Rosecrans)! How long have you been volunteering with the MB10k? How did you get involved with the MB10k? What is your favorite part of volunteering for the MB10k? Read on to see their answers! "I have been working the same intersection at 25th and Blanche for about ten years. I used to run the MB10k and when I couldn’t do that anymore I decided to volunteer to be an official. It’s always enjoyable to stand there and watch that great stream of runners pass by. A lot of people I know run it. My twin sons have run it since it’s early years. They won the brother-brother category one year. Little kids, Costa cross-country and track team members, men and women of all ages and abilities are out there running through town on a Saturday morning." "Looking forward to helping again at this my second MB10k. 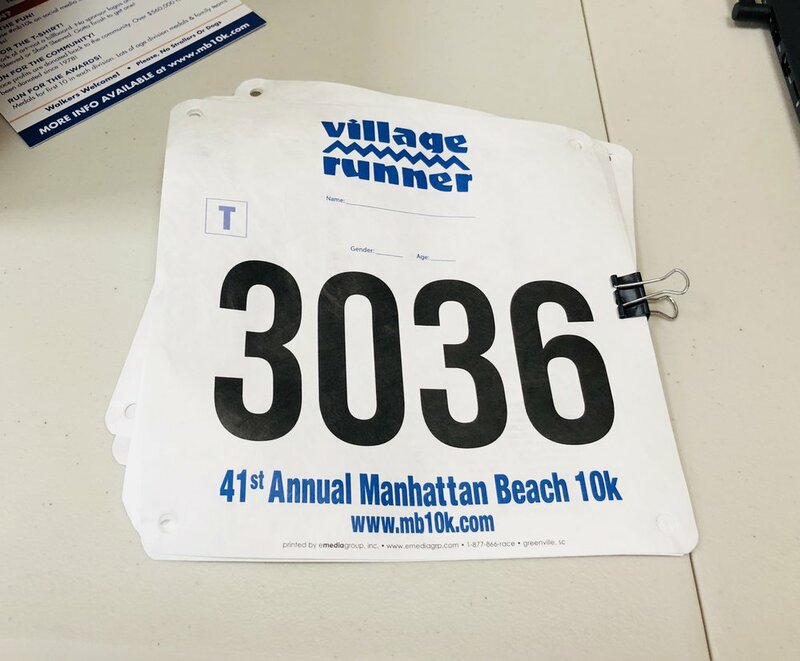 I was recruited to help the MB10k via Village Runner (10 years Village Runner volunteer) with packet pick-up and race day. Favorite part of volunteering is giving back, paying it forward by helping peeps who love to run, lend a helping hand by volunteering and meeting great people....Best part is...alleviating the stress level of the organizers who put in a LOT of hours to make this MB10k happen smoothly and fun! See you at the MB10k packet pick-up and race day! Mahalo!" "I have been volunteering for the past ten years. As of this year, I have passed on the torch to another volunteer. Judy Ryan, whom I have known for many years, approached me way back when to help out. My favorite part was being able to see the top runners finish. As a past racer, I never got to see that part of the race. They were always ahead of me." “I’ve been involved with the MB10k for 8 years. I got involved because my fabulous friend Rachel is the Race Director and thought it would be fun for me. “I have been volunteering for registration and running the race since the inception of the MB10k. We started the registration at the Joslyn Center 40 some years ago and it has evolved to computers at the Village Runner and online. I started walking barefoot on the beach in the sand as I just loved being out there. We live in such a beautiful place. I wanted to make sure I liked running before I invested in a pair of running shoes. I rather amazed myself that I was increasing my distance house by house, block by block along the strand!! Finally I bit the bullet, bought some shoes and began running on the strand in the early morning before work. While out there, I met Russ Lesser and we chatted about how great being out there felt. He was thinking of making this a community event by organizing a 10k race. I said it was a great idea and that I could help in some small way. I figured as long as I was going to run the 10k, I should help with it as well. And so it began. Interested in having fun, meeting new people and getting a sweet staff shirt with the spectacular John Post image?! We may have just the job for you! Click here to sign up or send us an email at mb10krun@yahoo.com. Thank you!